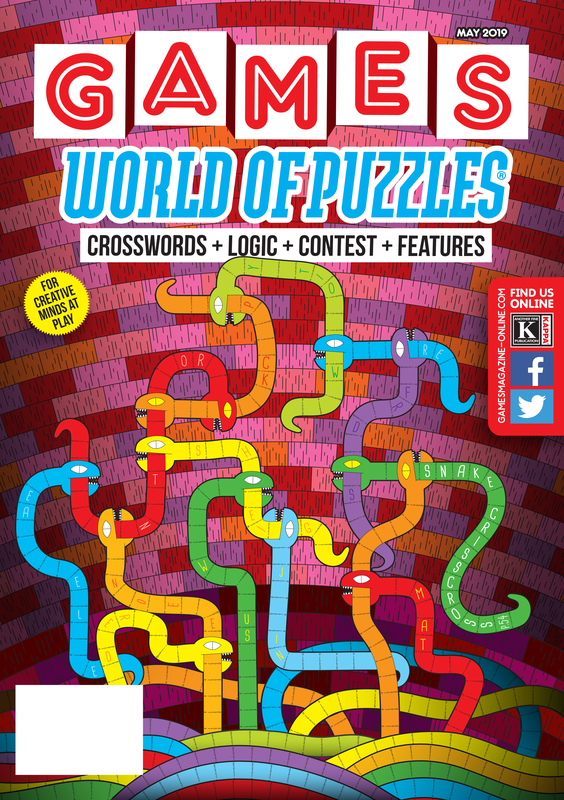 Welcome to the April issue of GAMES WORLD OF PUZZLES. 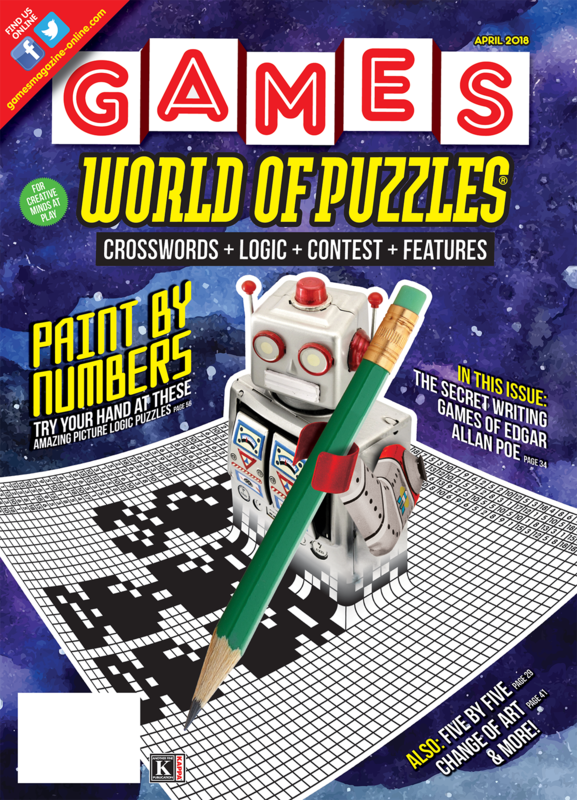 No fooling: This issue is packed with puzzling fun, starting with the feature article, “The Secret Writing Games of Edgar Allan Poe,” which explores the renowned author’s puzzles. You might be thinking, “What puzzles?” Poe is widely known for his poems, such as “The Raven” and “Annabel Lee,” as well as his short stories, some of which are generally regarded as the earliest examples of detective fiction. But, as authors Sara Biggs Chaney and Michael Chaney point out, Poe was also a puzzler extraordinaire. 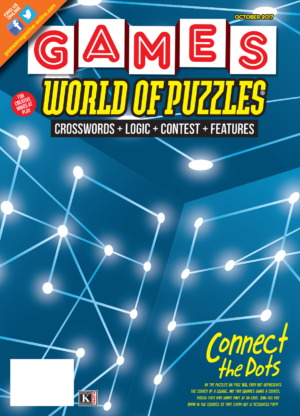 Some of his puzzles are so difficult that it took scholars many years to solve them, whereas others are accessible to the average puzzle enthusiast. Turn to page 34 to match your wits against Poe’s. Our editorial section continues with Scott Appel’s Scrabble column, “Your Word Against Mine.” Instances of cheating in Scrabble have made national news in recent months. Appel discusses the various ways in which players have cheated and their possible motives for doing so. It’s an interesting read and a timely reminder of the importance of fair play. In addition, we present two full-color puzzles this month: Erich Friedman’s “About Face” (page 40), which challenges you to identify the brands represented by some familiar countenances, and “Change of Art” (page 41), a find-the difference puzzle by Croatian illustrator Mrcela Mladen. Turning the page, you may notice that Dennis Shasha’s chess puzzle “Sole Survivor” and Jonathan Schmalzbach’s “This Old Game” have the same subtitle—“Camelot.” This is a serendipitous coincidence—the chess puzzle is so titled due to the placement of the knights in a “round table” formation, while Camelot the board game is somewhat similar to chess in strategy and features jousting knights. And as always, puzzling challenges abound in our Pencilwise section. Want to try something new? Check out R. Wayne Schmittberger’s Five by Five (page 29) or “Touchword” by Grant Fikes (page 30). 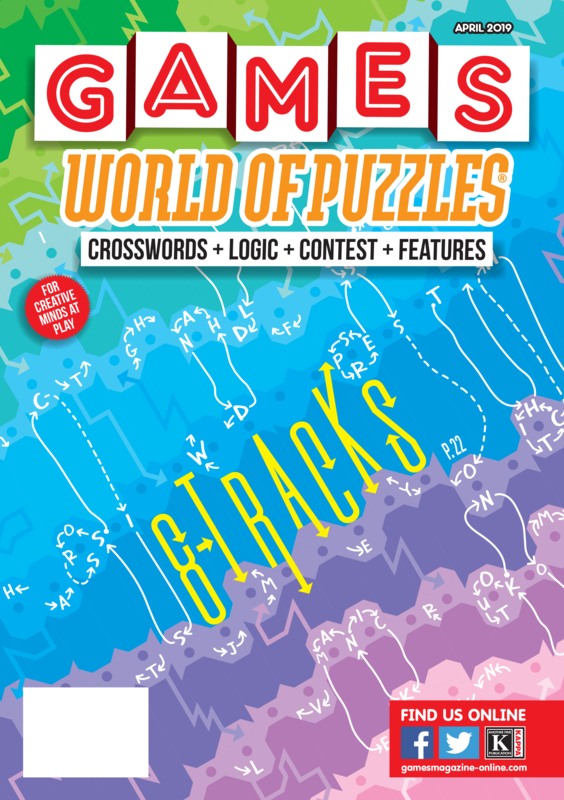 If you prefer to start with an old favorite, there’s Patrick Berry’s crossword variant “Some Assembly Required” (page 54) or “Class Act” (page 49), a logic puzzle by Robert E. Nelson. Finally, on a sad note, beloved crossword constructor Maura Jacobson passed away on December 25, 2017. 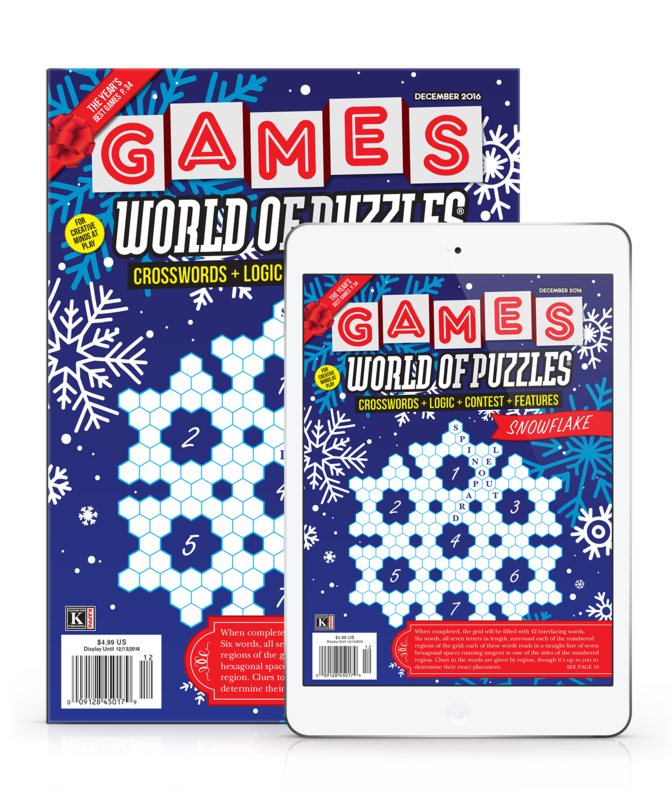 Jacobson has been described by American Crossword Puzzle Tournament director Will Shortz as “a national treasure.” She served as a judge and contributed puzzles to the annual competition for 30 years. 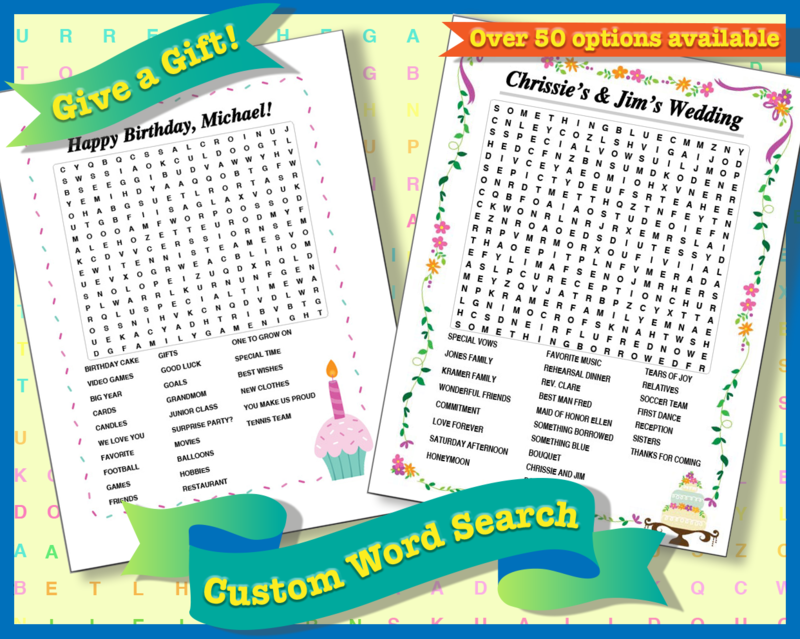 Longtime readers may recall that some of her crosswords graced the pages of GAMES in the 1980s. We received news of Jacobson’s passing just as this issue was going to press; a full tribute to her will appear in our next issue. Now it’s time to start puzzling. Sharpen your pencil and jump in! How many of these logos featuring faces can you identify?